Wedding centerpieces are a must to give your tables a well-rounded look, but that doesn’t mean that you have to go to the trouble (and expense) or organizing large floral arrangements that tower over the heads of your guests and make it difficult to conduct a proper conversation. Large blossoms like hydrangeas (and peonies – but peonies are rare and quite pricy) look great in a short squat vessel like a fishbowl-type vase or even something silly like a teapot. Teapots can be picked up from second hand stores for a relatively low cost if you’re keen on a rustic mismatched look. 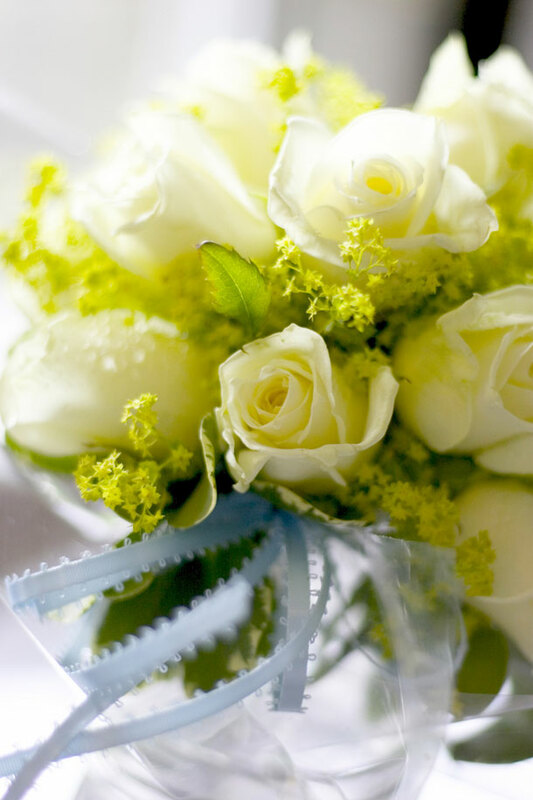 Otherwise you can rent plain white ones which will look great against the blue of the hydrangeas. Fill a few stemless wineglasses with water and simply pop in the head of a rose for a simple yet effective centrepiece. This looks particularly pretty if you use light pink or while roses. For a cute and quirky centrepiece, why not get a bunch of large lollipops and display them in a little metal bucket. This way the centrepiece doubles up as a wedding favour. Metal buckets can be sourced relatively cheaply and the come in all sorts of colours and sizes. Add a bit of sea sand to the bucked (or Styrofoam or that green stuff for flower arrangements) and then stick the lollipops in to make them stand. A simple white bowl filled with colourful fruit could prove quite effective as a table centrepiece. A bowl full of cherries for instance would add a gloriously rich red to the table. Other fruits with vibrant colours include apples, plums and nectarines. Another edible centrepiece option would be to fill a transparent glass vase with chocolates of your choice. This will undoubtedly prove to be popular with your guests. You may also opt to use candies or nougat in your vases.